Sports fans are going to be witnessed a do or die match on 26 September. Bangladesh and Pakistan are in the same position in the point table. It looks like an unexpressed semi-final match of this Asia Cup. This match will be so complicated owing to be the finalist of Asian cup 2018. 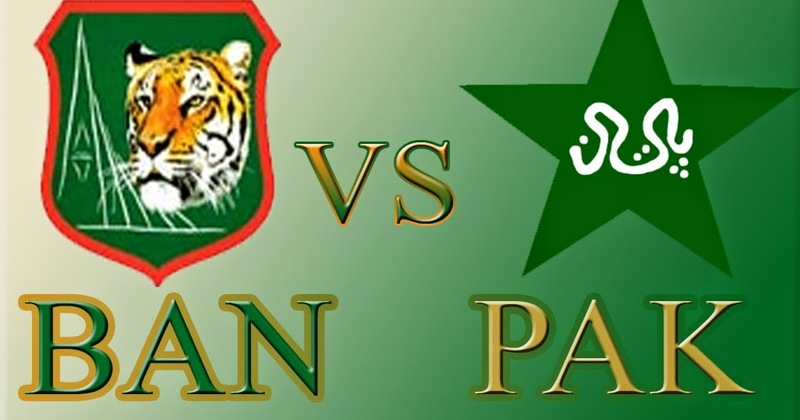 Bangladesh and Pakistan will take part against each other for the first time in the tournament. This first match is going to be the last match for both teams. Bangladesh is playing well but in the dodgy situation due to its top order batsman. One of the main top order batsman Tamim Iqbal has already cast out from the tournament because of his injuries. This absent of top order has made Bangladesh measurable. But Imrul Kayes has completed the absence. Middle-order batsmen are going as usual. They are always trying their best. Overall, Pakistan should run observing the middle order batsman because Keyes, Mahmudullah, Mushfiq, Liton Das are in favour of their performance. Mehedi Hasan Miraz and Mahmudullah Riyad are attacking in average pressure. Bangladesh has won the last match against Afghanistan on the neck of Mustafiz. Batsmen are getting Shakib’s bowling attack in very hazard position. Pakistan has got a super settled top order. Following the top order, middle-order batsmen are doing very well. Bangladesh bowling line up could be broken by the Pakistani batsmen. To get the crown of a finalist, Bangladesh has to be ready for the imminence of Pakistani top order. Fakhar Zaman the left-handed batsman could be dangerous for the Bangladeshi bowlers. The three middle-order batsmen Sarfraz Ahmed, Shoaib Malik, and Asif Ali are in great form. If this tree batsmen will settle themselves in the field, Pakistan will be overwhelmed with runs. Another danger of Pakistan is Babar Azam who is not in form but if he gets his complexion, He could be the monster for Bangladesh. On the other hand, Usman Khan & Mohammad Amir are ready to attack Bangladeshi poor top order. Besides, Bangladeshi bowling attack is much greater than the Pakistani. Shakib will cast his bowl with the lowest economy rate. Likewise, Shakib Al Hasan, Najmul Islam, Mehedi Hasan Miraz, and Mahmudullah Riyad will show their own made bowling attack. Pakistani batsmen should be ready against the powerful bowling attack of Bangladesh. In addition to, The match will be full of fight. Both teams have their own identity in the field of cricket. A silly mistake could kick off one team from the dream of being a finalist of the tournament. On the contrary, Pakistan is ready with hard-hitting batsmen and Bangladesh is ready with lowest economy rated bowlers. Pakistan has to observe very carefully bowling attack of Bangladesh because Bangladesh has won the last match by her bowling attack. Next, Bangladesh has to look on the top and middle order batsmen of Pakistan. Asia Cup 20018 Final: Can Bangladesh Oppose the Formidable India? Great hammer of Thor, that is powuefrlly helpful! My name is Aly and I would like to know if you would have any interest to have your website here at sportnewsbd.com promoted as a resource on our blog alychidesign.com ?